Anderssen & Voll’s F 305 stove has a flat top that allows for secondary functions such as cooking and baking. The appliance is available worldwide as of November 2014; Jøtul is also planning to release a soapstone heat tray and an enamel cooktop for the stove in the upcoming months. The F 305 model comes in two iterations. The F 305 LL is propped on four legs. The F 305 B version comes with a base compartment for storing wood. Jøtul stoves are made from melted scrap iron that is poured into a casting machine. “The foremost expertise of Jøtul is in controlling the casting process that they have refined over 160 years,” Anderssen (right) says. 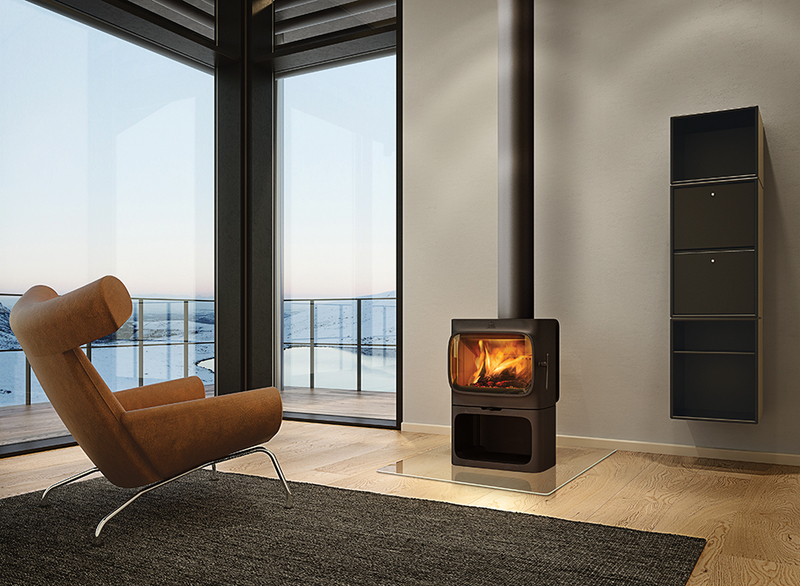 Jøtul has refined the manufacturing process for its wood-burning iron stoves since the first one was cast in 1853. Now, the Norwegian company has turned to a homegrown design studio run by Torbjørn Anderssen and Espen Voll to help it set the stage for the next 160 years. “It doesn’t matter that the product itself can last a lifetime if the design is outdated in ten years,” says Jøtul’s vice president, Marius Torjusen. “We wanted to take a step back and create a stove where the functionality is not compromised, while ensuring design remains a key factor in the decision-making process.” In 2012, Jøtul reached out to the Norwegian designers, who are known for their appreciation of the Nordic tradition and their tendency to break from it. Although Jøtul’s commission has marked a rare foray for Anderssen & Voll beyond furniture and lighting design, the smooth surfaces of their F 305 stove have retained some of their signature qualities. “It has a certain mix of sensuousness and boldness that you might also find in our work for companies like Muuto or Magis,” Anderssen says. View more products we love by Anderssen & Voll here.